In this article I will try to explain all the events which happens in the background after your Linux machine boots up and you make an attempt to login into the console. In my last article I had told you regarding Step by Step Procedures of Linux Booting Process in which I ended the article where you get the GUI prompt if loaded into level 5 or a CLI terminal if loaded into level 3. This prompt is generated by a program called getty which is regenerated every time when an incorrect password is provided, by the init process which is again created by fork function. NOTE: Fork is a function which creates a new process by duplicating the calling process. 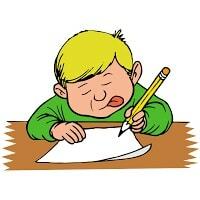 The new process, referred to as the child, is an exact duplicate of the calling process, referred to as the parent. If there is a failure getty process is re-initiated by the fork function and the password prompt re-appears. The maximum number of failure attempts would be allowed as defined under the pam configuration. Eventually once the maximum no. of failure attempts is reached the gety process would be suspended for a timeout value as defined in pam configuration after which again the login prompt would appear starting from Step 1. Now the above steps were explained only in relative to the process used and it functions. But there are alot of other things happening in the background so lets get a overview on those topics as well. As soon as you reach the console you will get a login console which is presented to you by getty process as explained above where you need to put the username using which you will be login into your account. Once you enter the username below are few files which are checked w.r.t. the name provided which determines the next course of action. If this file exists and the user is not root then the contents of this file will be printed to the screen and the login is terminated. If special access restrictions are specified for the user logging in in this file, the restrictions must be met or the log in will be denied and the program syslog will log the attempt. Next if any content has been stored inside this file is printed on the screen before the password prompt appears. This is basically a pre-login message and identification file. Next you get the prompt as shown below where you provide the password for your username(which is hidden as you type). But how does the system verifies if the password provided is correct or incorrect? If you recall there are two files which stores information about each user's password i.e. /etc/passwd and /etc/shadow, so the password is verified as per the username provided from the password section inside /etc/passwd and /etc/shadow file. If the provided pasword is incorrect the getty process will be re-initiated again prompting for the password. This will continue till you reach maximum allowed failed attempts of login as defined under the below mentioned files, a login failure message will be reported in syslog facility. Once the maximum no. of failed attempts is reached the login process is suspended for a timeout value again as defined in /etc/pam.d/system-auth file. In this period you won't be allowed to make another attempt of login. Once the timeout value is finished again you will get a login prompt where you will have to give your username. The password provided is verified with respect to the encrypted password as present in /etc/shadow. Also other password aging factors are verified in case the password is expired or locked using the same file as well as /etc/passwd. The HOME, PATH, SHELL, TERM, MAIL, and LOGNAME environment variables are set. The users shell is started. 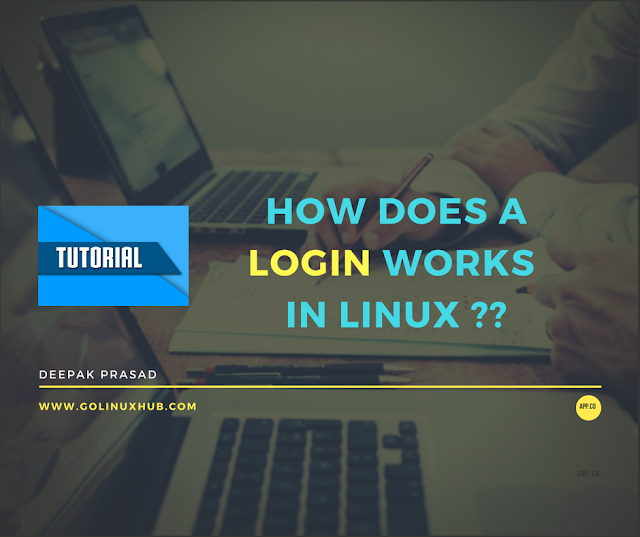 The shell is specified in the file "/etc/passwd"
NOTE: If the user has /sbin/nologin or any other shell restricting his/her login access then the below steps would not be executed and the user login process would be terminated here itself. If the file "~/.hushlogin" exists in the user's home directory then a "quiet" login is performed which disables checking of mail and the printing of the last login time and the message of the day. Otherwise if the file "/var/log/lastlog" exists the last login time is printed and then the current login is recorded in this file. Next in case you have added any content to /etc/motd file then that will echoed to the screen. After which you will get you login console in your home directory as specified by user's HOME variable. Another function that login will perform is to update the user accounting login files which are "/var/run/utmp" and "/var/log/wtmp" which hold information about the amount of time users have been on the system along with when they logged on and off. This file is used to prevent users from logging into the system. When this file exists in the user's home directory, it will prevent check for mail, printing of the last login time, and the message of the day when the user logs in. Contains information about the last time a login was done on the system. Contains information about the user including the ID, name, home directory, and the path to the preferred shell program. I would appreciate your feedback in case I missed something or you would like to update my content, do notify me through the below comment box.